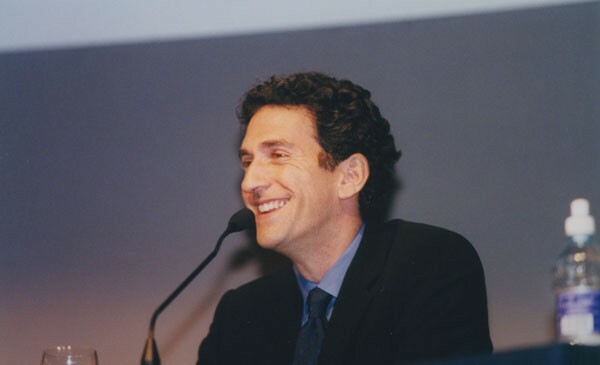 Christiane Amanpour's husband, James Rubin, has resigned as the head of one of the largest port authorities in the country. The CNN foreign correspondent herself is currently host of an eponymous television news show for CNN International. Rubin's departure from the Port Authority of New York & New Jersey is at a time when the agency is somewhat in flux. While most people know the Port Authority as the agency that takes their $13 ($75 for most peak-hour cash-paying truck drivers) when they enter New York City, the agency also controls La Guardia and John F. Kennedy International Airports, and is the site owner of the new World Trade Center property. In light of Rubin's departure, Christiane Amanpour said that her, Rubin, and their child will relocate to London. She will continue to broadcast for CNN from the United Kingdom. Rubin, in turn, will reportedly become a scholar-in-residence at the Rothermere American Institute at Oxford University. Prior to being appointed to the bi-state agency by Gov. Andrew Cuomo, D-N.Y., Rubin held a high post in the Clinton administration. In the states, the Port Authority is celebrating their crowning achievement of adding the spire to the top of the nation's tallest building, One World Trade Center, while at the same time continuing to be embroiled in a lawsuit that is the embodiment of Tri-State residents' ire at the climbing rate hikes at the Port Authority's tunnels and bridges. In 2011, Yoel Weisshaus of New Milford, N.J. filed a lawsuit against the Port Authority, claiming that the consistent toll hikes, specifically the most recent one at the time, were impeding on his ability to move between states and get to work. Living on a very modest income, Weisshaus asserts that the $12 (now $13) that he paid regularly to cross the George Washington Bridge, has been funneled to the Port Authority's World Trade Center project, an act which would be illegal under the laws governing the tolls. "By 2021, if they keep raising the tolls like this, it will cost $25 just to cross the bridge. Who is really going to be able to afford that?" Weisshaus asked rhetorically in a New York Post interview. "I am always a person who is asking, 'what can I do to make a difference in the world," Weisshaus, who still pays the higher-than-EZ-Pass cash toll, said. By itself, the George Washington Bridge posts $1 million per day in revenue. While the Port Authority cannot legally use toll money for World Trade Center projects, the agency is currently working on a number of construction endeavors on its spans. One of the smaller crossings is the Bayonne Bridge over the Kill van Kull between Bayonne, N.J. and Mariners Harbor, S.I., N.Y. Following certification of its lack of environmental impact, the PANYNJ will soon begin raising the road bed on the Bayonne Bridge a total of 64 feet, in order to allow larger container ships to flow beneath it in the small channel, bound for cargo ports on both shores. The Bayonne Bridge is one of four motor vehicle crossings onto Staten Island. It, along with the Goethals Bridge and Outerbridge Crossing, both spanning the Arthur Kill, connect New Jersey with New York for a charge of $13 per car. The Verrazano-Narrows Bridge on the east end connects Brooklyn with Staten Island, with motorists being charged a $15 'wrong-way' toll to go westbound into Staten Island. That money is collected by the MTA, New York's transit authority, which recently raised the tolls on that span, meaning that all vehicular traffic bound for Staten Island from anywhere must pay a double-digit toll. That fact was highlighted by the island's Congressman, Rep. Michael Grimm, R-N.Y., who said that the project of jacking-up the bridge's road bed would indeed help provide more business for the cargo ports along the kill. "Unless the tolls on commercial vehicles are significantly reduced, Staten Island may not have a port to service-once the outrageous toll hikes put it out of business," Grimm said. The only way to reach Staten Island for free is via the famous Staten Island Ferry, run by the New York Department of Transportation. About ten years ago, travel aboard the vessels was restricted to passengers and bicyclists. The operation runs 24 hours a day between St. George, S.I. and South Ferry, Manhattan. While the Bayonne Bridge and some of the Port Authority's other properties, including both airports, continue to see new improvements, many commuters lament what has been a reality for them in recent years. "The consumer is going to pay for [the toll hikes], because we have no choice, because we have to use [the crossings]," driver Desi Ndreu told ABC-7 as the 2012 toll hikes were going into effect. The Goethals Bridge and Outerbridge Crossing are both known to be aging, narrow structures, and many commuters by bus and car alike often find the Lincoln and Holland Tunnels to be subterranean bottleneck nightmares. "It's too much, too much every day. We have to go...to New York every day," cab driver Najam Latif, who crosses the Hudson River regularly, told WCBS. "Not one of these tunnels or bridges have been fixed," another driver said. According to the Port Authority's four-year toll schedule, E-Z Pass tolls will continue to rise annually to $10.50 by December 2015, and cash tolls will rise to $15 by that time. Under Rubin's tenure, the Port Authority reportedly recorded a 46 percent profit on its toll collection facilities. Remarking on Federal laws regarding "just and reasonable" interstate tolls, a spokesman for the American Automobile Association (AAA), which has now also sued the PANYNJ, said through spokesman Robert Sinclair, Jr., that they believe "the toll increases are neither." Port Authority chairman David Samson maintained that he "wouldn't have voted for the toll increase last August if I didn't think it was necessary and appropriate."